Natural light is one of the most effective ways to make a home feel brighter, comfortable and more airy yet many properties suffer from a lack of natural sources of light. Dingy corridors, small box rooms and north facing windows make for a dark and gloomy environment, especially during the winter months. Here’s just some of the more effective ways you can maximise the levels of natural light on your home and improve the internal ambiance. Sometimes it’s not where the windows are positioned but the actual height they reach. Windows and doors that are glazed to a low height can actually make a room feel quite dark and small. By using glass that is full height, this dramatically increases the amount of light that is allowed into a room and will make a huge impact on the internal light levels. The fact is, the higher the angle from which the light source comes from, the more intense the light is. So set your windows and door frames as high and as tall as you can to get every little bit of light possible. 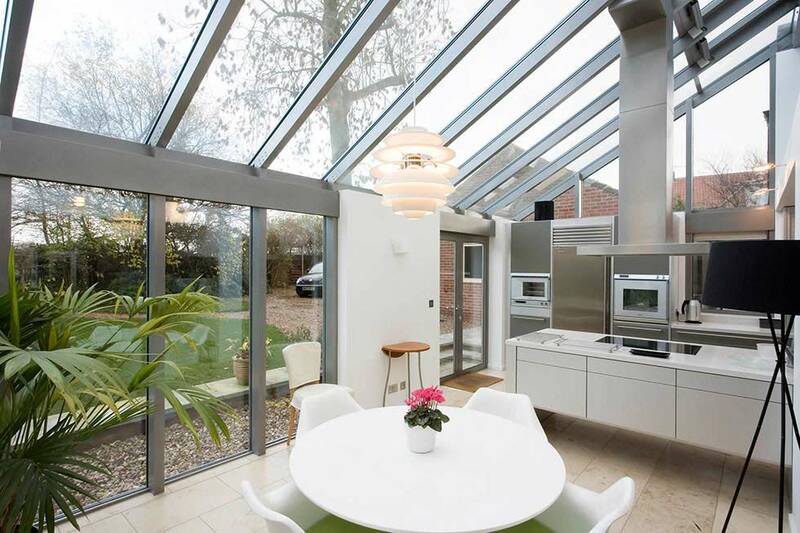 Whilst this is not the most cost-effective option, a fully glazed roof will make a massive impact on the levels of light coming into any room in the house. During winter, the room will still feel well lit during daylight hours whilst in the summer, will feel warm and glow with the warmer suns rays. A word of caution however. Too much glass can cause a greenhouse effect making the room incredible hot and uncomfortable, not to mention the potential for intense glare and brightness. In winter, a ton of heat can be lost through the glass meaning expensive energy bills so approach this option with a large dose of pragmatism. This very popular option is proving successful for people with both pitched or flat roofs. 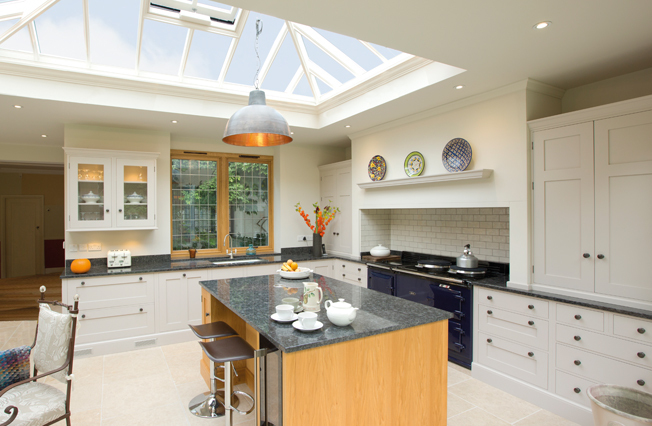 As an alternative to going fully glazed, roof lights are practical and far more cost-effective and in many cases, can be purchased off-the-shelf and installed fairly pain-free. Most options on the market are relatively cheap to buy, are fully-openable and energy efficient. Best of all, they allow tons of light to flood into a room without making it feel overly bright and will not cause an increase in heat or cause any major loss of warm during colder months. If a roof light is a non-starter due to budgetary constraints or your roofing structure, a sun tunnel could be a practical and cheaper alternative. 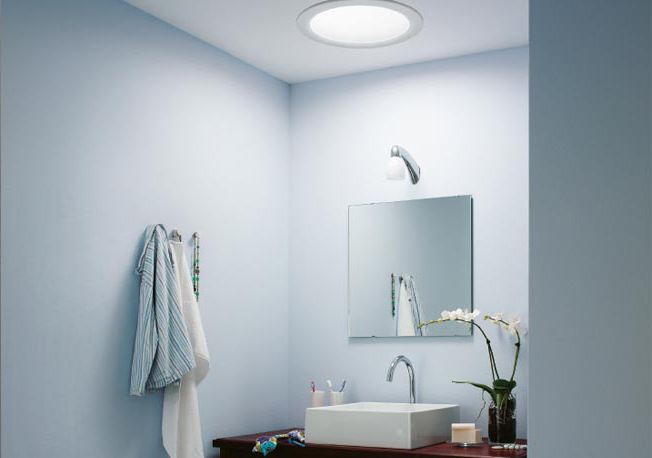 These clever inventions can be installed relatively quickly and funnel light directly from your roof through a reflective pipe down to a specially design ceiling light that shines all that natural sunshine into your room. The downside is you don’t get the nice direct views of the sky but the upside is, they suit most budgets, are easy to install and are very effective as transferring light from the outside in. 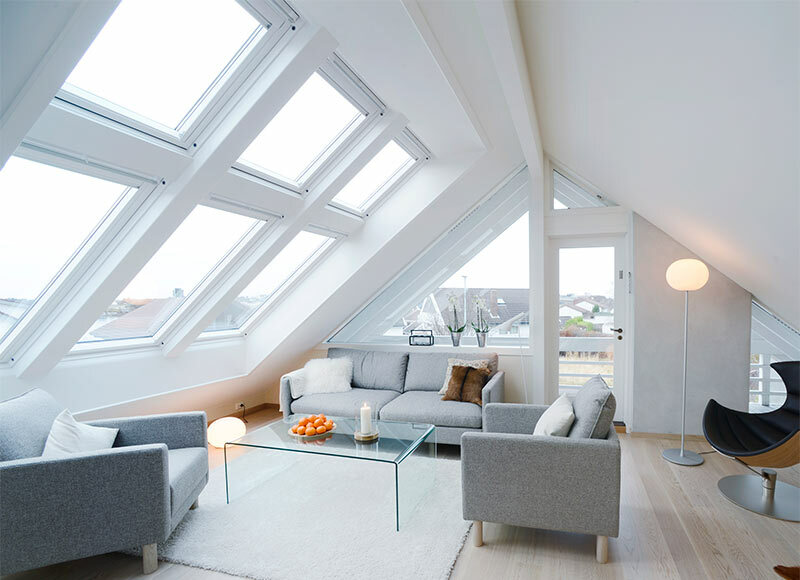 Growing in popularity, many homeowners embarking on a flat roofed extension to a kitchen or sunroom are opting for a roof lanterns. Reminiscent of a Georgian orangery, these modern twists take the traditional and merge them with modern building standards to create a fabulous light-filled solution that literally brings the outside in. The price tags are not generally for the feint-hearted but when you see the finished look, they’re well worth it. One of the oldest tricks in the book is to use what light you have and to reflect it as far and as wide as you can. 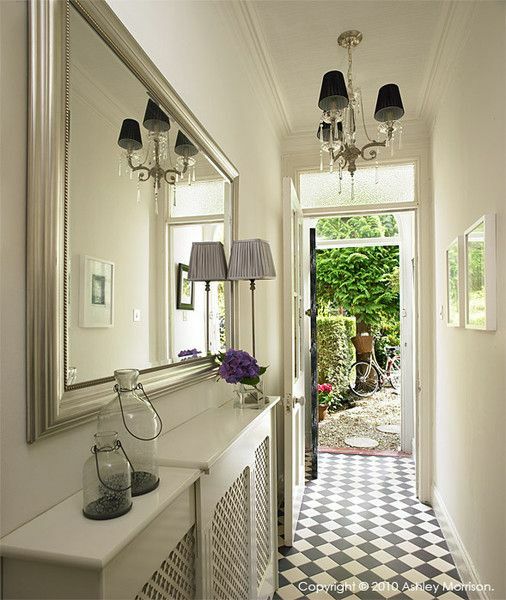 If you have a dark corner that is adjacent to a source of light, try hanging a mirror to bounce the light from the source to other parts of the room. You’ll be surprised how effective this simple, cost-effective trick is. If your internal walls and decorating is a little on the darker side, perhaps it’s time for a rethink to redecorate the rooms that suffer from a lack of natural light. 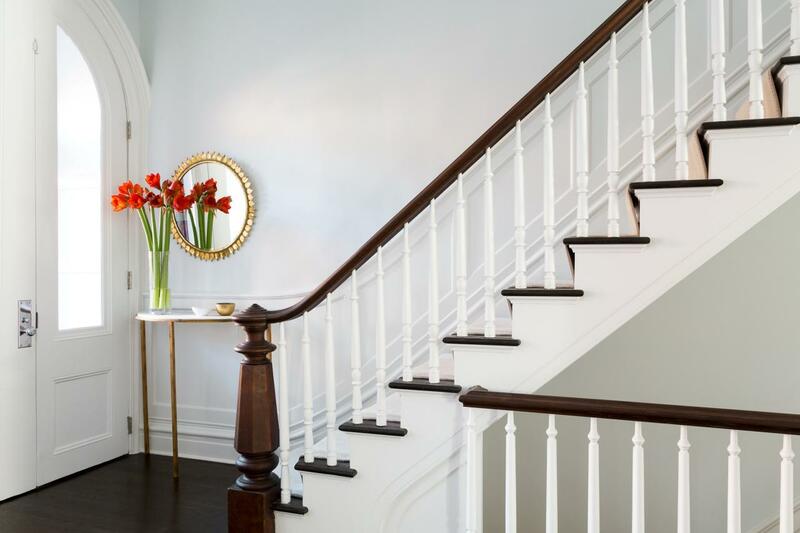 By going lighter, you will instantly make the room feel brighter and the walls will help to reflect and bounce light to other areas.